ANDC inStart Foundation (A Section 8 Company) is promoted and hosted by Acharya Narendra Dev College (A Delhi University Constituent College). ANDC inStart is funded under Government of NCT Delhi’s incubation policy. ANDC inStart provides a conducive and encouraging environment to potential entrepreneurs within as well as to the ones outside the campus. The Incubator is run and managed by an eminent Board of Directors and a professionally hired executive team. 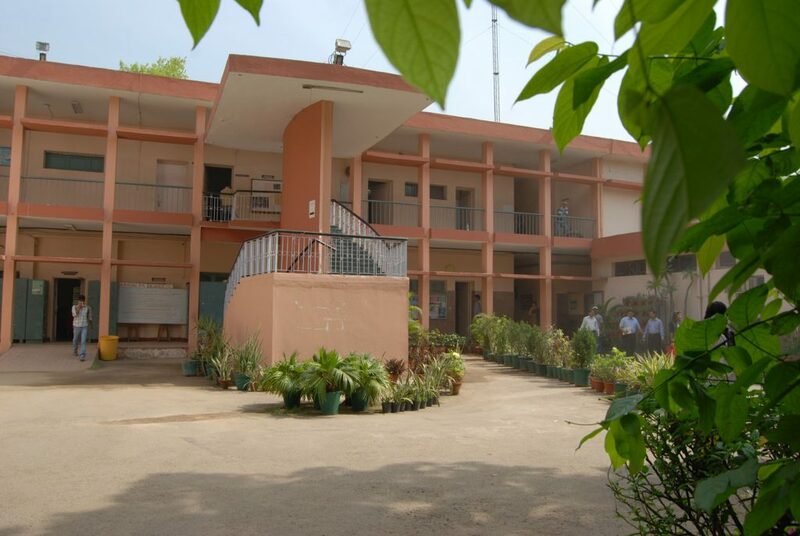 The college is named after the great educationist and reformist of modern India, Acharya Narendra Deva. Over the years, the college has acquired repute for the quality of education imparted to the students, the discipline and dedication of the students and the faculty, the exposure and opportunities available for overall development of both faculty and students and the sense of social responsibility within its walls. Dr. Amit Garg is working as Associate Professor in Electronics at Acharya Narendra Dev College, University of Delhi for the last 21 years. He specializes in Graphene based materials and their applications in gas sensing and water purification, laser material interaction and Science Education. He has been the recipient of the Meritorious Teachers’ Award (2012-13) with a cash prize of Rs.1,00,000/- of Directorate of Higher Education, Government of NCT of Delhi, Most Promising Innovation by University of Delhi, Teacher Excellence Award for Innovation by University of Delhi. The project “Brain-Controlled Wheelchair” won the Second Prize in the Project Category on National Science Day organized by the Indian National Science Academy (INSA), Delhi and the Indian Academy of Sciences (IAS), Bengaluru along with University of Delhi colleges. He has completed eight research projects and has more than eighty research publications. He has two Ph.D. students working under his supervision, member of international scientific society, SPIE, USA and is a reviewer of many international journals. He has attended many international conferences abroad and has been technical session chair. He is Chairman of ANDC inStart Foundation, a business incubator to promote start-ups funded by DTTE, GNCTD and on advisory board of UDGAM, a business incubator funded by MSME. He has been a jury member of National Level Exhibition and Project Competition INSPIRE, DST, faculty adviser SPIE Student Chapter with biographical profile published in Who’s Who in the World. Dr. Seema Gupta (Associate Professor), is one of the senior-most teachers in the college. She specializes in Inorganic Chemistry, takes keen interest in the development of e-content for undergraduate courses and guides students for summer projects. She is very proactive in issues related to students and their welfare. Co-investigator in a project entitled Design and Development of Gold Nanoparticle based Optical Biosensor for Protease Sensing , under Innovation and Entrepreneurship Development Centre, ANDC, funded by National Entrepreneurship Development Board (DST) (2014-15). Co-investigator in a project entitled Environment Management by waste treatment at source, under Innovation and Entrepreneurship Development Centre, ANDC, funded by National Entrepreneurship Development Board (DST) (2013-14). Dr. Rajesh Chaudhary (Assistant Professor) obtained his Bachelor’s degree in Zoology Hons. from University of Delhi in 1999. He pursued his M.Sc. in Biomedical Sciences from the B. R. Ambedkar Centre for Biomedical Research (ACBR), University of Delhi in 2001. Thereafter, he completed his PhD in “Anterior Pituitary Hormone Biochemistry” from Department of Zoology, University of Delhi in 2008. He has published several research articles in peer reviewed national and international journals. Recently he has been awarded two “innovation projects” by university of Delhi. Dr. Sandeep Kumar Goel (Associate Professor) specializes in Banking and Finance, holds a doctorate degree in the area of Banking and has a teaching experience of 16 years to his credit in University of Delhi. He takes keen interest in research, theatre and social service. He is an Executive Member of Indian Accounting Association. He is Convenor of the Theatre Society and an add-on course on “Effective Communication and Personality Development through Theatre”. He is also an active member of the Finance Committee. He has been NSS Programme Officer and Convenor of Add-on course on Foundations of Banking. Mr. Sanjay Vohra Graduated from University of Delhi and completed his Post Graduation in Agro-Chemical and Pest Management and Food Science Technology. He started as the Project Leader for ‘Mass Generation of Employment in Rural Delhi through Sericulture and Mushroom Cultivation’ funded by Department of Science & Technology (DST), Govt. of India and later joined Dept. of Sericulture at Acharya Narendra Dev College, University of Delhi. Showcasing his meticulous work skills, he was the Coordinator in Innovation and Entrepreneurship Centre (IEDC) funded by DST, Government of India. At present, he’s the Manager of UDGAM-ANDC Business incubator, funded by Ministry if Micro Small and Medium Enterprises (MSME), Government of India. Coordinator of Prime Minister Yuva Udmita Vikas Abhiyan (PM-YUVA) funded by Ministry of Entrepreneurship and Skill Development, Government of India. During his career he has been a mentor for innumerable student startups, conducted various EAC, EDP, TEDP, WEDP, FDP programs. Under his stewardship a lot of project ideas are taking shape as student startups in his unique concept of entrepreneurship lab. Mr. Shadab Mobin is a Finance professional with 19 years diverse experience in Renewable Energy projects, Banking, Hospitality and Consulting. with specialisation in Finance from Institute of Management Development & Research (IMDR), Pune in 2000. He has keen interest and insight into entrepreneurship development and new venture creation. Earlier he worked as consultant for National Entrepreneurship Network (NEN) in the Delhi NCR region, engaging with academic institutions to promote entrepreneurship amongst the students. He has mentored several early stage startups. He has been an independent consultant advising companies for their fund raise requirements.